Since launching in March 2010 (time flies when you’re having fun) PunditHouse has been able to provide a strong conservative voice for Charlotte-Mecklenburg, through original reporting on local news and local commentary on state and national issues. While our first-year goals for readership and community feedback have been exceeded – and we thank you all for making that a reality – our financial goals have not been met. And without your support now, PunditHouse finds itself in danger of having to close its doors. Voluntary Subscription - There is no set price for a voluntary subscription. Your support is greatly appreciated at any level. By way of example – and at the risk of sounding like Parks Helms – $10 per month would be less than 35-cents per day to help us cover operating costs and continue delivering a quality product. Your subscription can be a one-time donation or set to recur monthly. A monthly commitment from enough readers would greatly help to put PunditHouse on firm financial footing and in position to take our mission to the next level. Sponsorship Ad - You can also support PunditHouse with a sponsorship ad to promote a special event, an organization, or a supported cause. Block sponsorship ads are available for just $25 and your message will appear on the left sidebar of PunditHouse posts for two weeks. The ads can link to any website desired. Advertising - Whether you are a small business, a candidate for political office, or just someone with a message to share, advertising on PunditHouse is a great way to reach a prime targeted audience. Our advertisers are placed in a pool and randomly displayed each time a page is loaded. For only $250 per month, or $225 with a six month contract, your advertisement can be placed in rotation. The number of displays and clicks will be readily available to you, and you will have the ability to change the ad content during your advertising duration to fit any immediate messaging need or to simply try a different approach. 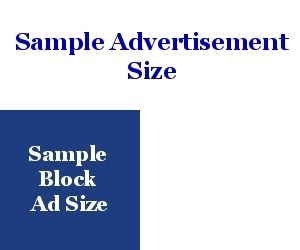 The standard ad size is 300x250. The 728X90 banner that displays as the headline at the top of every page view is available for $350 per month, or $325 per month with a six-month contract. Package deals for even lower prices can be arranged. For more information on securing an advertisement, please contact Christian Hine at 704-516-2953 or cphine@newmajoritymedia.com.